Smashed the screen on your iPhone 6S? Want your iPhone 6S back like new? Phone Ninja can help! Established in 2009, and with over 20,000 repairs in Perth alone, we know a thing or two about repairing. We carry out alot of Phone 6S screen replacements, often while-you-wait, but we also replace batteries, ear speakers, chargers, to camera replacements and more. With stores across Perth, Western Australia we are never too far away from you. All our stores only stock the highest-quality iPhone 6S parts available and we offer a warranty on all repairs. Think you’ve found someone with iPhone 6S repairs for cheaper? We’ll match their price! Contact us now for a quote, to set up an appointment, or simply come in to any of our stores for a repair, often on-the-spot! With the addition of the iPhone 6S, Apple have introduced an exciting new feature called 3D Touch. This gives the user a more immersive experience by enabling pressure-based inputs allowing a whole new level of touch sensitivity. However, with new technology comes new parts, but don’t worry Phone Ninja have you covered by sourcing the latest parts, available at the best prices for all iPhone 6S Repairs! Apple has also stepped up their camera game on the iPhone 6S, now recording video in 4k Ultra HD resolution and taking amazing photos on the new 12 megapixel rear camera. There is also great news for Selfie lovers out there with the new front camera! It has been significantly upgraded to a 5 megapixel with front flash capabilities; this means no more grainy images. Here at Phone Ninja our highly trained ninja staff can fix your camera issues lightning fast, and have you posting again online within hours. 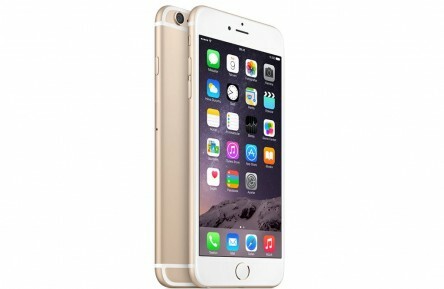 The new iPhone 6S has impressive battery life, allowing users to game or browse the internet all-day. This also helps with using the phone for more important tasks such as phone calls and GPS. However, like any battery, the iPhone 6s battery performance will start to suffer over time. Luckily you can have no fear because Phone Ninja is here to replace the battery and get you back on track within minutes! Apple has also shipped the phone with IOS 9 (later upgraded to IOS10), the new software helps users with all the new features the iPhone 6S has to offer, however just like all technology the software can have issues, if you run into these issues we got you covered, our trained staff can restore and reset and get you on your way in no time. So whatever your problem we are here to help.